The sugar hit in puddings, biscuits and chocolate has not been cut despite a government crackdown on sweet treats. 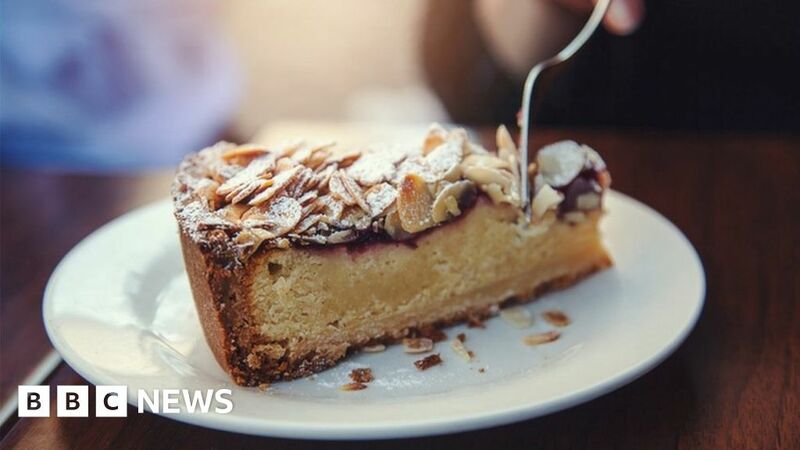 Public Health England has set a target of reducing the sugar intake from a host of popular foods by a fifth by 2020. Its first year update shows progress in yoghurts and breakfast cereals, but not in other areas. PHE said it still represented a good start, although it expected faster progress in the coming years. On average, the public consume more than twice as much sugar as is recommended. If progress is not made, ministers have made it clear they will consider legislation. But Tim Rycroft, of the Food and Drink Federation, said sugar reduction was “challenging – it can’t happen overnight”. “Sugar reduction has considerable technical challenges,” he said. “Sugar plays a variety of roles beyond sweetness in food, including colour, texture and consistency. How does sugar-reduction target work? PHE has identified 10 types of products in which it wants to see sugar levels reduced. The latest update covers the 12 months up to the summer of 2017, effectively the first year of the programme. A target of 5% had been set – but sugar levels have been reduced by just 2% in the products for which PHE currently has data. This data, from retailers and manufacturers, covers all of the 10 groups of foods except two – breakfast pastries and cakes. Food items sold in cafes and restaurants are also excluded from this current data, although they will be included in the future. The measuring of sugar levels is based on the amount per 100g (3.5oz) of all products, within the 10 categories, sold. So, to hit the target, industry must not only produce lower-sugar alternatives but also persuade consumers to buy more of them, in terms of weight, than of the products within the categories that retain higher levels. The big supermarket chains have cut the amount of sugar – known as reformulation – in many of their own-brand cereals, ice-creams and yoghurts. And big brands such as Muller have followed suit. The sugar content of its bestselling Corner strawberry twinpot has been cut by a fifth, to 12.6g per 110g. Meanwhile, Nestle has cut sugar in Kit Kats and Milkybars, adding extra milk – and, in the case of Kit Kats, cocoa – to retain their weights. But other companies have relied on making their higher-sugar products smaller so – counterbalanced by heavier lower-sugar products – they will carry less weight in their overall sugar-per-100g calculation. Costa Coffee teacakes have reduced in size. And Lidl has reduced the size of some of its chocolate bars by nearly a third. The third tactic relies on industry changing the habits of shoppers. For example, Rowntree has launched lower-sugar versions of Fruit Pastilles and Randoms. And others have promoted healthier options more heavily. While PHE is not naming these brands, the report did provide some individual company information by the different food groups. Some companies, such as Marks and Spencer, did not give PHE permission for its figures to be used, and in some categories data was not comparable between the two years. But there was some interesting variation in performance. Tesco and Morrisons for example saw falls in the sugar levels of all yoghurts sold, but Waitrose and the Co-op had not. Whereas for sweets, Waitrose saw the biggest improvement out of the 10 biggest supermarket chains, while Morrisons saw the worst. But in an appearance before MPs on Wednesday, PHE bosses came under fire for not naming and shaming companies. Health committe chair Sarah Wollaston said it seemed “a bit of a shame” given some companies had made progress and some had not. Is this part of the sugar tax? No. The sugar levy is a separate policy applied to high-sugar drinks. That came into force in April. This sugar-reduction programme is aimed at popular foods that account for a quarter of calories consumed by children. The drinks targeted by the sugar levy account for another 5%. And a separate calorie-reduction programme has been launched targeting foods such as pizzas, burgers and takeaways, which account for another 20%..
PHE has also announced on Tuesday that the sugar-reduction target will be extended to those drinks not covered by the sugar tax. These include milk-based drinks and juices.